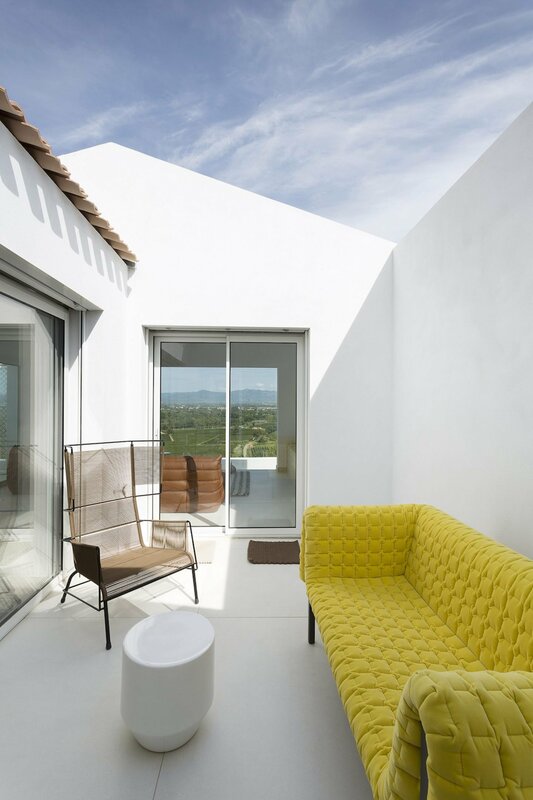 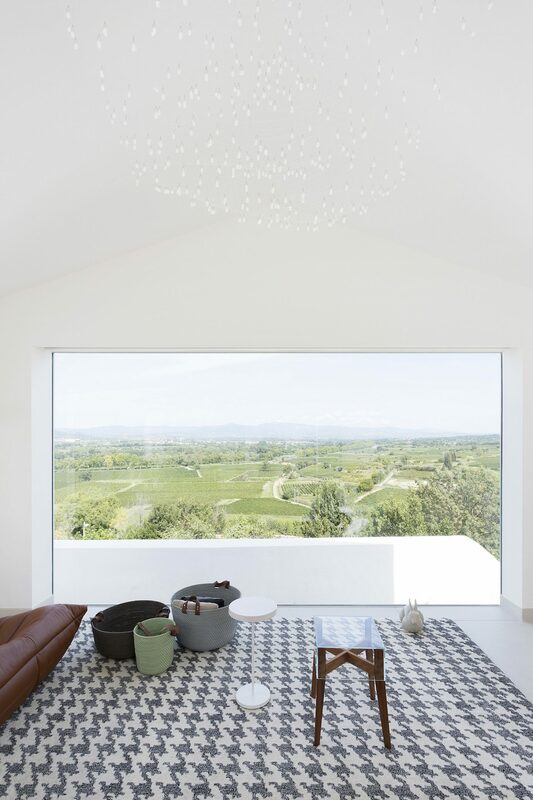 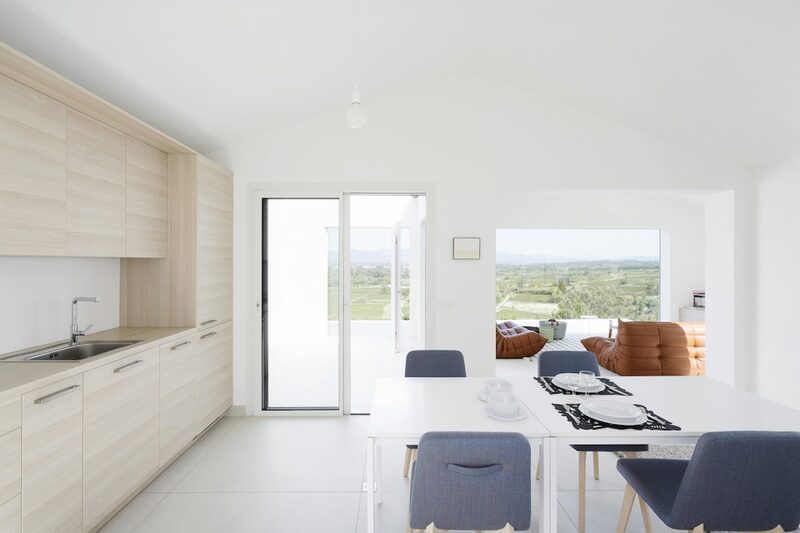 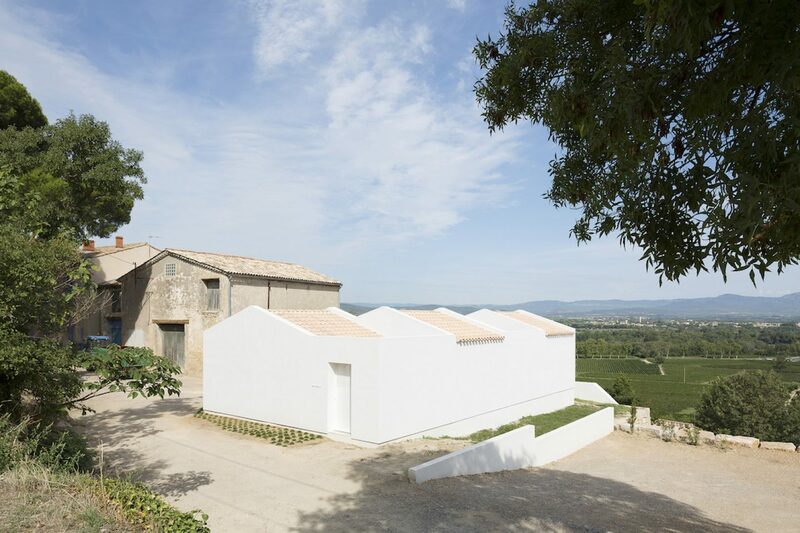 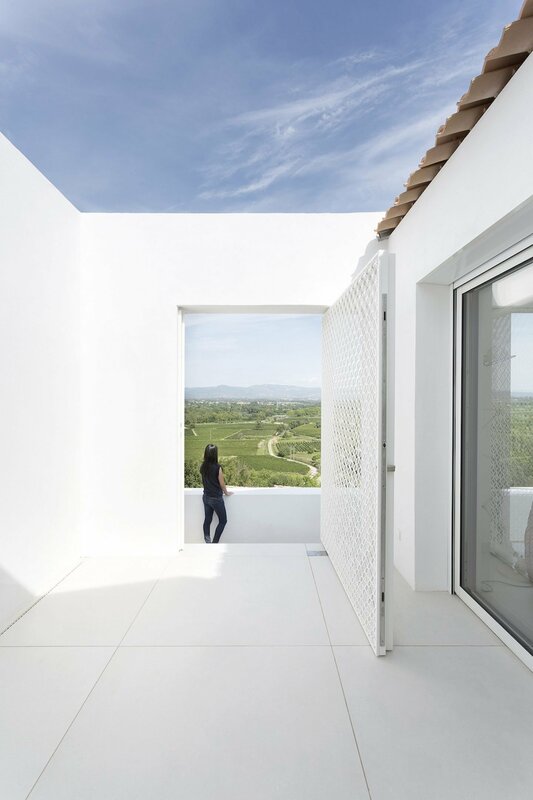 By creating the ‘Villa Tranquille’ or the ‘Quiet House’ in the Hérault Valley in southern France, local architects artelabo built an oasis of serenity. 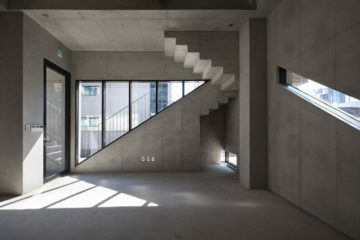 The omnipresent geometry of the house is based on a repeated sequence of four volumes, inscribed in a regular pattern. 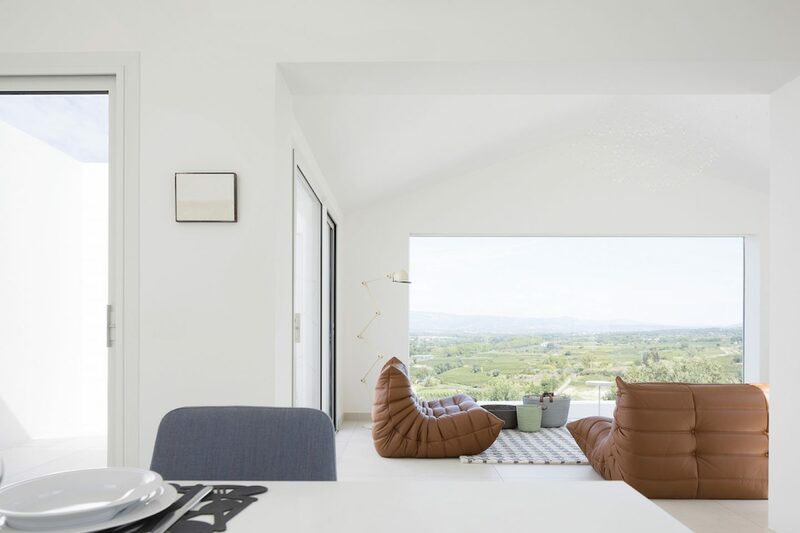 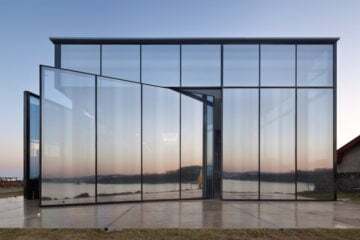 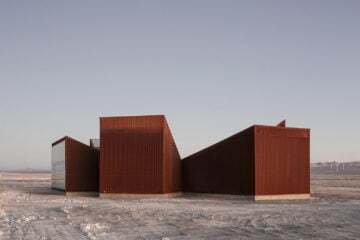 Closed on three sides to attract the view over the rolling countryside, the hidden secrets of this houses’ internal life contrast the open patios, bathed in light. 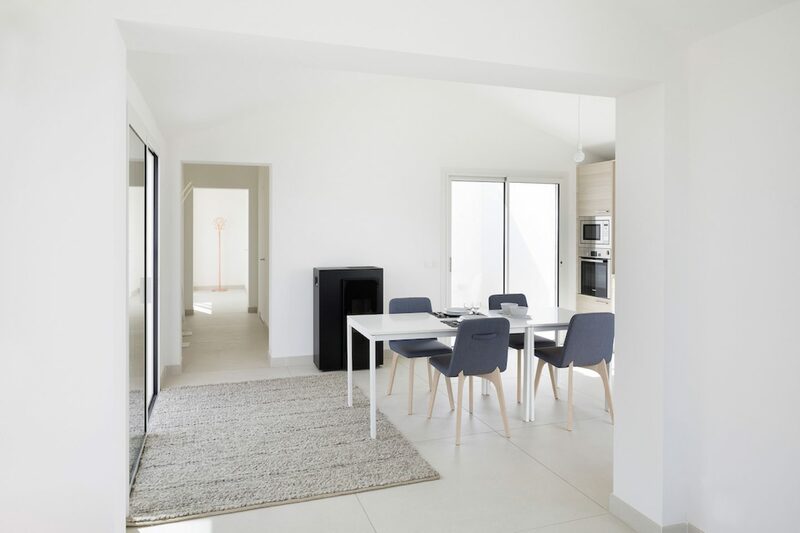 All rooms are connected to at least one courtyard, while several sliding doors create a sense of spaciousness. 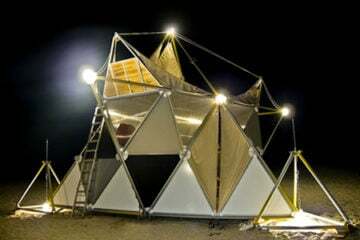 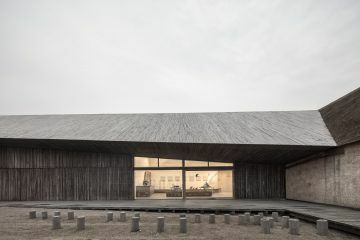 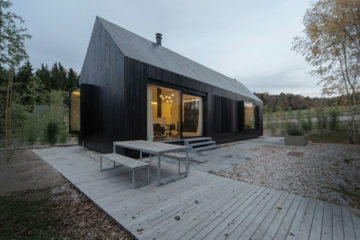 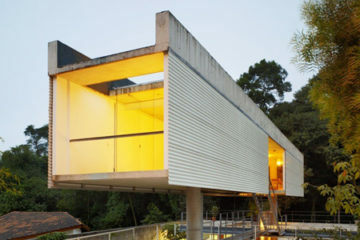 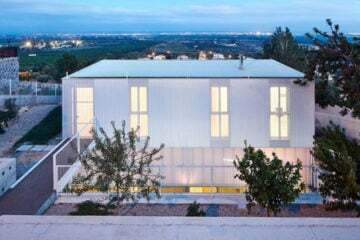 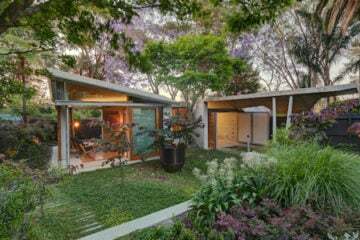 Designed for “a Mediterranean lifestyle, the house can be opened and breath day and night, and allows [its inhabitants] to be inside while being outside,” state the architects. 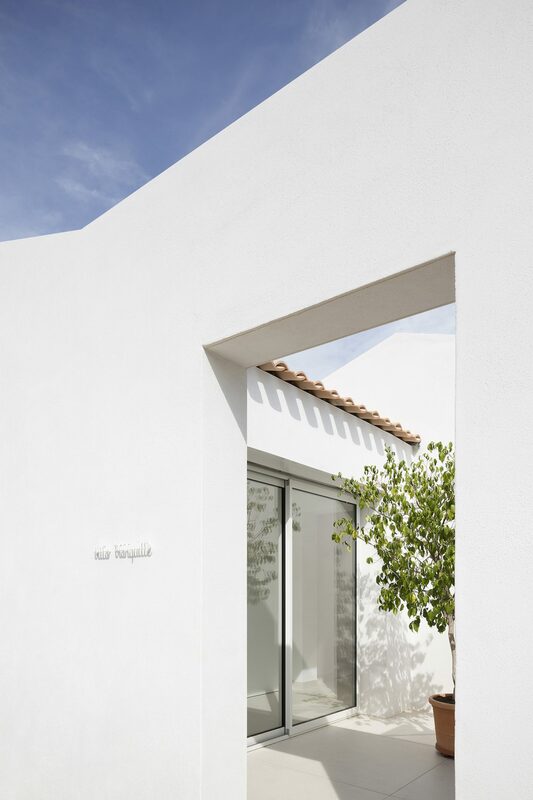 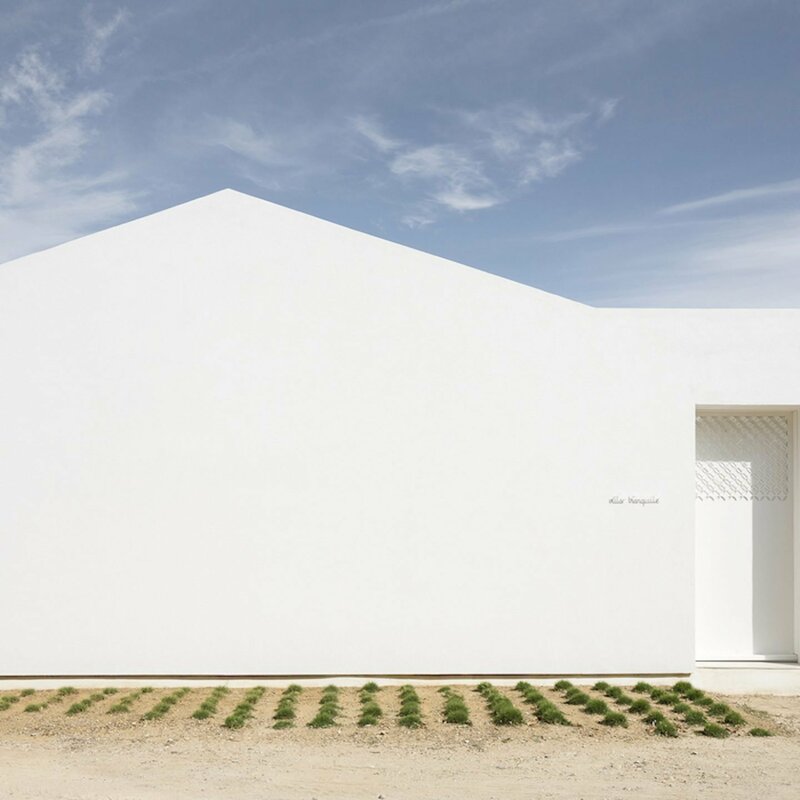 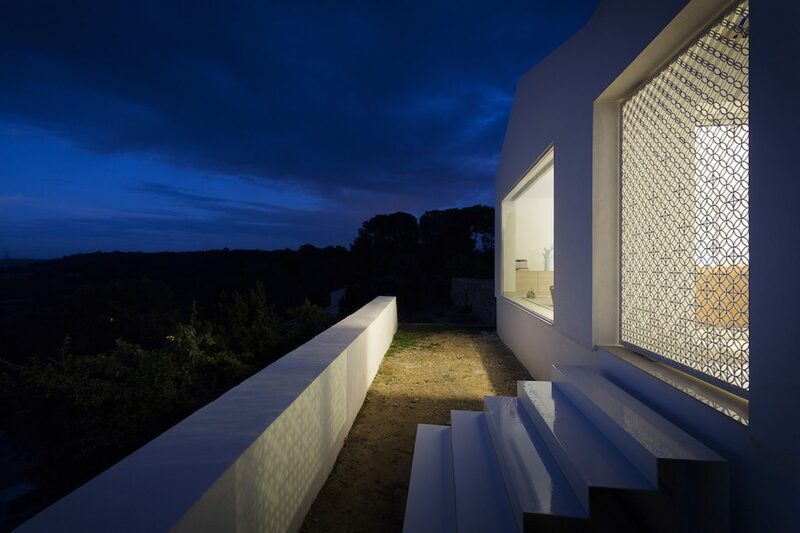 The very white coating, steel grid with reminiscent motifs of ‘moucharabieh’, and a secret entrance opening on a courtyard complete the unique appearance of ‘Villa Tranquille’. 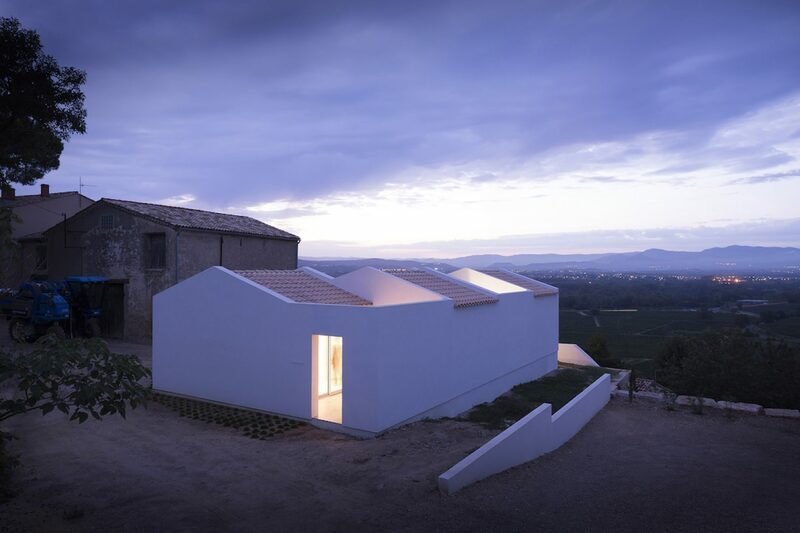 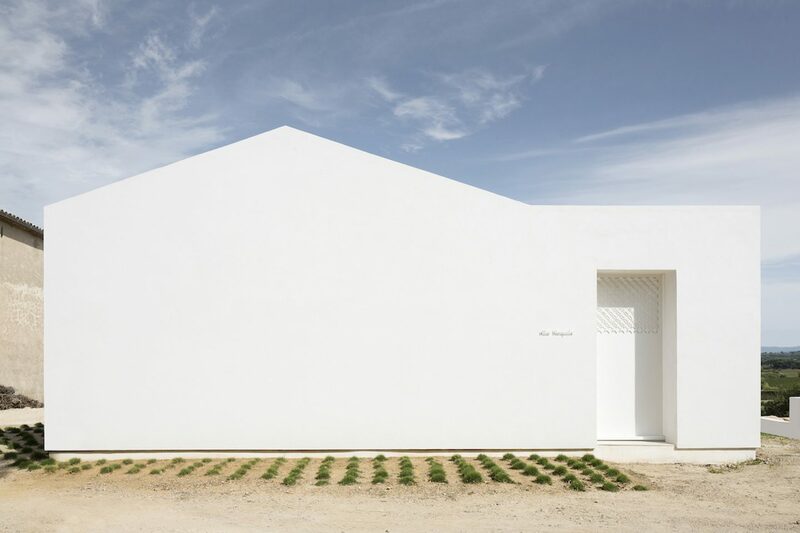 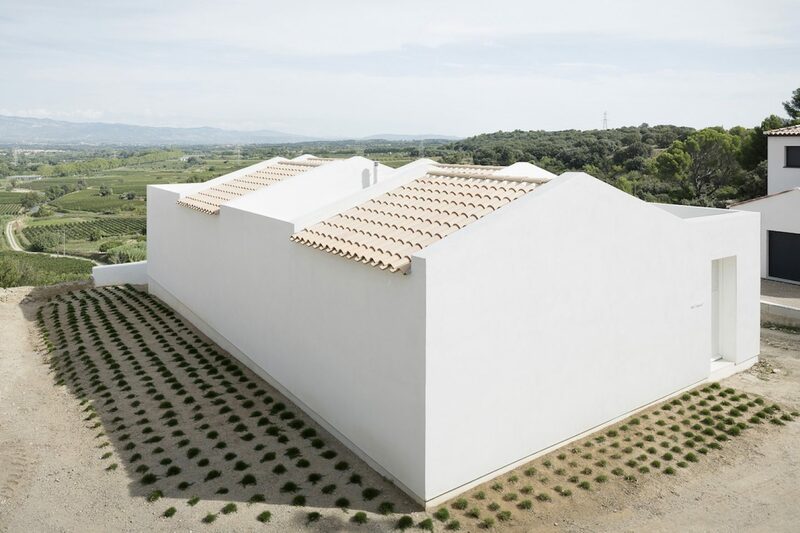 Although its exterior basic shape refers to the archetypal image of the French ‘Provence Villa’, the architecture project stands out for its deconstruction and recomposition of traditional elements in a new and unexpected way.